"The Company is not about memberships. Company Fellow and Life Member Alan Aimone was born in Sycamore, Illinois and resides in Newburgh, New York with his wife Barbara. They have a son, Randy Conrad and a daughter Meredith. Alan has been a member of the Company since 1970 and is one of the founders of the Chapter. 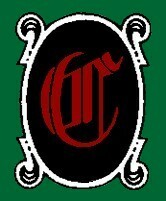 Alan earned a Masters of Arts degree in Library Science from Dominican University, River Forest, Illinois. He has been employed by United States Military Academy Library since 1969 and is currently the senior member of the staff. In addition, he is an Accredited Senior Appraiser, American Society of Appraisers (Books and Manuscripts), serves on the Board of Directors of the Council On America’s Military Past and has been a re-enactor in American Revolution and Civil War groups. Alan is also a founding member of the Northeast Historical Archeology Association and an author and speaker of renown on 18th and 19th century military subjects. As a Chapter Founder, Alan writes that, "I served as both the initial treasurer and secretary of the chapter. Mike McAfee was a trustee at the time and handled all the headquarters communications and I handled the rest. Jacki Estes and Rich Ceconi took over for me, and I became the new chairman." Alan served again as chairman in 1999. Independent scholar Juanita has been researching, writing and speaking on Civil War civilians since the 1960s. She has a degree in American Material Culture from the College of William and Mary. Her books, Who Wore What and Introduction to Civil War Civilians, have each reached seventh printing. Juanita is an avid collector of artifacts and ephemera, which she makes available for study and temporary exhibit. She served as guest curator for two major exhibits at the National Civil War Museum. Juanita is currently serving as President of the Society for Women and the Civil War, and, for over two decades, has served as Mistress of Ceremonies for the national Civil War costume competition. Juanita gives talks and workshops in person and online. She was elected Fellow of the Company in May 2007 and is the current Chairman of the West Point Chapter. Paul R. Martin III is an artist and teacher from Westchester County, NY. Besides his membership the Company of Military Historians, Paul serves as the President of the Rockland Civil War Round Table. He is on the Board of Directors of the Lincoln Society in Peekskill, the Yorktown Historical Society, and the Yorktown Citizens Veterans Day Parade Committee. Paul is also a member of Army Air Force Historical Association, the 14th Air Force Association, the Civil War Preservation Trust, the Gettysburg Battlefield Preservation Association, the Rich Mountain Battlefield Foundation, the National WWII Museum, and the Pacific Aviation Museum. Paul Martin's artwork can be seen at paulmartinart.com. Dr. Larry A. Maxwell served five consecutive terms in a leadership position for the West Point Chapter. The first two terms were as Vice Chair followed by three as Chairman. A conference speaker and author of numerous books and booklets, Larry is recognized as an award winning writer by the Associated Press in 1990. He has traveled extensively speaking throughout the United States, and around the world, for more than 25 years. Dr. Maxwell is the Town Historian for Town of Patterson, Putnam County, New York and has served for a number of years on the Putnam County Historians Round Table. Dr. Maxwell is also the founder and director of The Living History Guild, an organization which provides standards and certification for living historians and re-enactors, who desire to improve their impression. Larry has done extensive research of military pension files and primary source documents, particularly in relationship to military service and genealogy. He is a long time member of the Connecticut Society of Genealogists and has authored articles for various genealogical publications and conducted seminars and training conferences for researchers around the country. He has served as both a professor and Dean at various colleges and graduate schools, both in the United States, Korea, India and the Philippines. He also develops and writes curriculum for colleges and graduate programs. 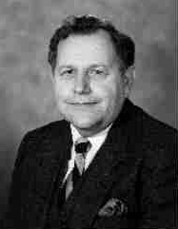 Dr. Maxwell was ordained to the Gospel ministry by Thomas Road Baptist Church, Lynchburg, VA., in 1976. Christopher DiPasquale is a teacher and author of American History. His book: An Object of Great Importance, the Hudson River during the American War for Independence, briefly discusses the time period of 1775- 1780. He explains the role of the Hudson and how it was in fact more important than any port, city or field during that time period. The book shows the different strategies both sides employed to either defend or attack the Hudson River during the Revolution. Mr. DiPasquale gives many lectures throughout the year at local libraries, historical societies, and museums. This upcoming spring and summer he will be at the Westchester Genealogical Society, the Institute for History Archeology and Education, the Putnam County Historical Society, and will be lecturing for the Living History Education Foundation. Christopher may be contacted at cdipasquale34@aol.com, his book An Object of Great Importance, may be purchased for $15 by contacting him or through Continental Consulting, Barnes and Noble.com, or Amazon.com. Philip D. Weaver has been a member of the CMH since 1980. He is an original member of the West Point Chapter, having attended the first meeting at the Van Wyck Homestead in Fishkill. He served as Vice-Chair in 1988, Chairman in 1989, and again as Vice-Chair in 2006 and 2007. In 2001 he designed the Chapter's website. Phil has served as an assistant to the CMH Fellows Meeting Committee in 1984 and on the Fellows Meeting Committee in 1995. Both meetings were held at West Point. He has also completed his service as a member of the Committee of the 2009 CMH Member's meeting in Albany, NY. Currently, he continues as the Chapter's Webmaster. A Revolutionary War living historian since 1975, Phil is a highly regarded tailor and researcher. His articles on the Colonial Period and Living History were first published nationally in 1979. Several extensive research projects about the New York Line of 1775 were spawned by that living history experience and many have been published by the CMH in either MUIA or MC&H. A feature detailing the Yorker assault on Quebec in 1775 gleaned from personal accounts of the participants is currently in progress. Phil was elected Fellow of the Company in May 2004. 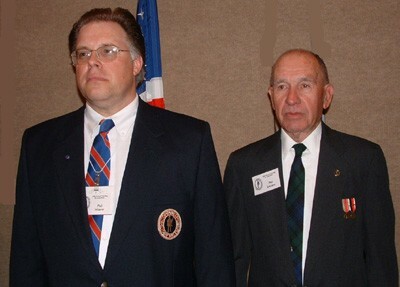 Philip D. Weaver and G. Philip Leveque (D). Don Kloster (D) was unable to attend. Mark Wikane is a police officer in the City of Kingston, and served four years in the USAF at Minot AFB, ND. His main interest is in the U.S. Cavalry of the Indian Wars period, 1860 to 1890, with strong side interests in the USAF (particularly B-52s and KC-135s), as well as the 10th Mountain Division and the Aleutian Campaign of World War II, in which his father participated. 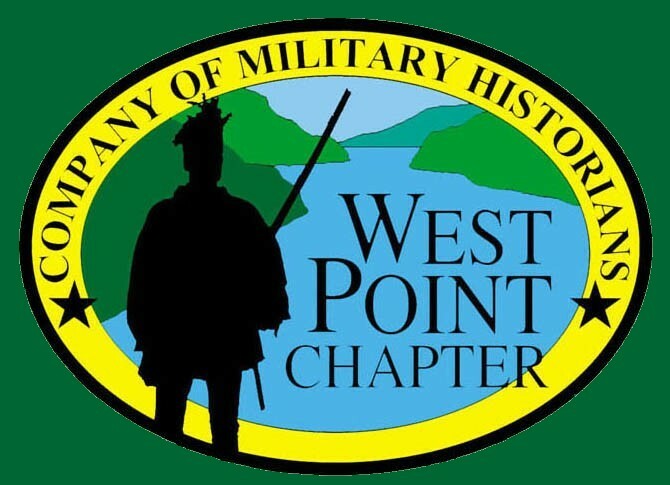 He a menber of the West Point Chapter thanks to the sponsorship of Len Pomerantz. He is also a life member of the U.S. Cavalry Assoc. and the Custer Battlefield Historical & Museum Assoc., with annual memberships in the Frontier Army of the Dakota, M Company of Custer's 7th Memorial Cavalry Regiment, Minot N.D. (ND-based reenactment groups), the US Air Force Museum Foundation, the 10th Mtn Division Association (Descendant) and the NRA. He collects weapons, accoutrements and horse equipment of the U.S. Cavalry, as well as U.S. mountain infantry equipment of World War II, as well as making reproduction leather accoutrements of the Indian Wars period. 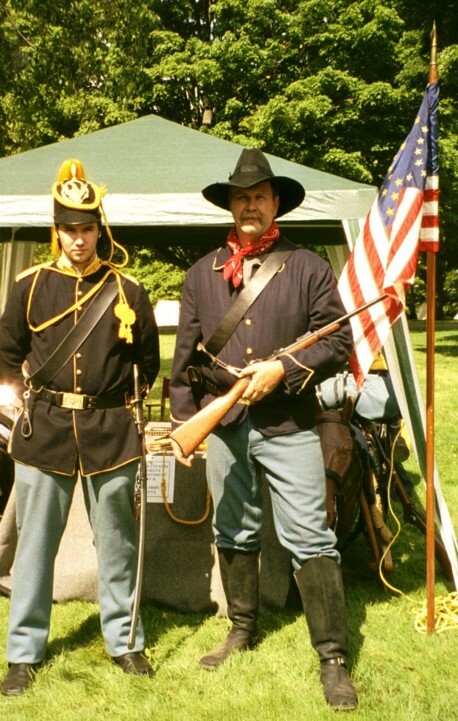 Mark Wikane and son Matthew at the Springfield Armory Armed Forces Day Timeline, 2005.